As Christmas is only a few days away, this will be one of the last Christmas themed posts. The image above is from Sweet Paul: I’m loving the tree against that beautiful blue wall. 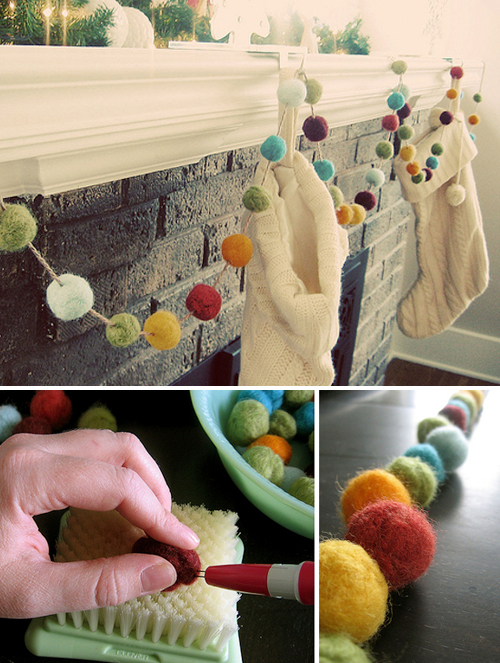 If you have time (unfortunately I haven’t) you can make a felted holiday garland. You can find a tutorial on Papernstitch. Thanks so much for linking to the felted holiday garland tutorial from papernstitch. I love The Style Files! And I really like that tree from Sweet Paul as well. Happy holidays! Uhhh, the felt garlands are great! So colourful. Thanks for the beautiful post. 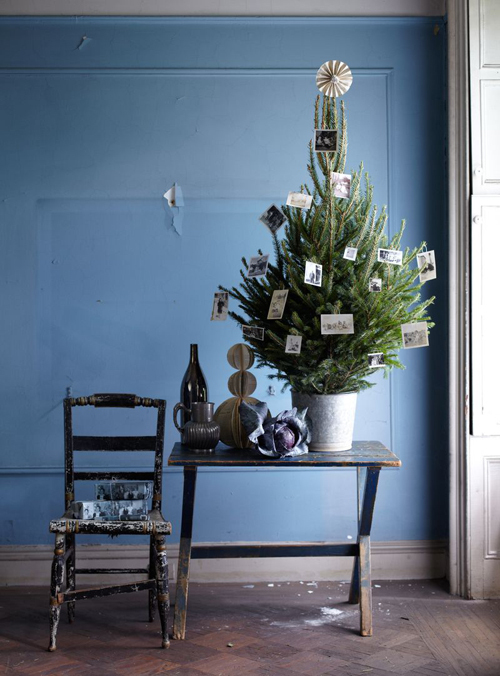 The featured tree is a stunning example of how lovely personalized Christmas decorations can be, very inspiring! i love the garland!!! so cute and festive! I love Sweet Paul. He is such a talented, creative guy! Talking about foodie bloggers, have you seen the new mag by What Katie ate..isn’t it amazing?